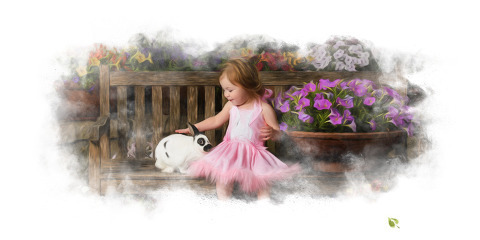 Live bunnies in a beautiful spring set. $25 per child. "When he showed her the view on the camera, I watched all sense of hesitation in her leave, and she became totally confident in herself and in the process! " Our first experience with Ivey Photography was for our daughter’s “required” senior yearbook and cap and gown photos. Even though our appointment was at a very busy time, her session began promptly on time and the process wasn’t rushed. Each of the staff took time to ask to her about her interests and her plans after high school, and she had many options on poses, backgrounds and expressions. The online proof process was very easy (augmented with a visit to the studio to view), with numerous beautiful photos from which to choose. All my questions were answered promptly, and delivery was timely as promised. Because of this great experience, we chose to schedule her senior photo session with Ivey Photography as well. WHAT A FABULOUS CHOICE! Chris took time to meet with us ahead of the photo session to get an idea of exactly what we wanted for her senior photos. We especially love that even before going to our first location, he took one vague idea from us, and created an absolutely stunning studio portrait that is one of our all-time favorites. When he showed her the view on the camera, I watched all sense of hesitation in her leave, and she became totally confident in herself and in the process! She particularly enjoyed chatting back and forth about different kinds of lighting, makeup for photography and video, and all things camera. 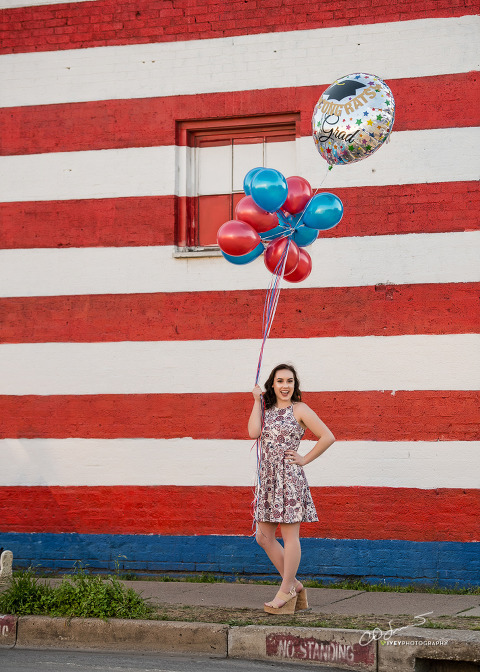 For our location photos, Chris chose perfect locations that highlighted our daughter’s “glitz and glam” personality, her wardrobe/color choices, and her talent for makeup artistry. When she had new ideas for special photos during the shoot, he went out of his way to get shots that fit her vision. There were so many awesome photos, it made choosing very difficult! Definitely recommend, especially for special occasion portraits! "We will cherish them forever! Thank you!" My entire family loves the pictures you took of my boys at Longbranch PDO! We will cherish them forever! Thank you! And as a teacher, it was fun to see how much time y'all took with each child, allowing them to warm up to the camera, and being careful to capture the best smiles you could get! Great work! 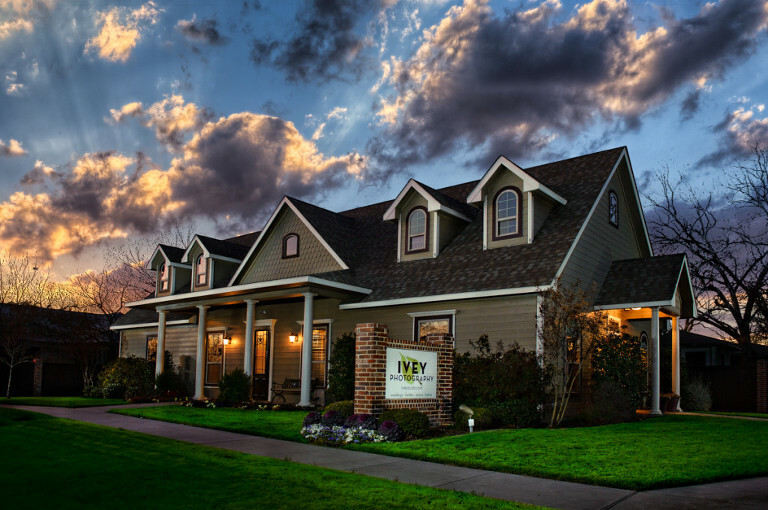 The Ivey Studio is located at 403 West Main Street in Midlothian, TX. We are just 30 minutes from Downtown Dallas and Downtown Fort Worth. Located in Midlothian since 1999, we built a new space in January 2010. At 1800 square feet, our studio is complete with a full changing suite, a guest lobby, a projection theater, and a 720 square foot camera room. Our camera room has north facing windows for perfect window light photography. Ivey Photography is primarily known for the Storybook Santa Experience, our one hour portrait session with Santa. We have had clients drive from all over Texas, Arkansas, Oklahoma, Missouri and California to come visit Santa. In addition to our Santa portraits, we photograph a wide variety of subjects and events. In Dallas-Fort Worth, we are known for our wedding photography, although in Midlothian our client base is primarily made up of families who come to us for family portraits, school portraits and sports photography. One of our newest themed sessions in Space Days, our Star Wars inspired week. Our photography services include wedding photography, family portraits, senior portraits, executive headshots, bar/bat mitzvah photography, corporate events, golf tournaments, yearbook portraits, sports leagues, real estate photographs, custom framing, and photo restoration. You can visit our blog and find most anything we have photographed over the past few years. Come by the studio anytime if you are looking fora specific type of shoot or an example of what we may have created in the past. In 2016, we created over 550,000 photographs and worked with over 500 families and organizations. We are open Tuesday – Saturday for photography by appointment. We keep an ‘in and out” schedule, so if you plan to come by, it is always best to call us first. Our general office hours are Tuesday-Friday 9-5. We can be reached at 972-723-2464. Please use the Main Street Entrance.